You’ve just painted your home with your favorite color and then you find out that deciding what the new furnishings to buy is both frustrating and daunting. Best advice, embellish that with the home furniture that you know can make you feel more comfortable. If you are looking for new furnishings to suit your home, then the best option for you is like nature rattan furniture chair, synthetic rattan furniture chair, water hyacinth furniture sofa, seagrasss furniture chair and kubu grey furniture chair. Although there are bunch of modern and luxurious furnishings in the market, choosing furniture Indonesia will somehow create unique and different ambiance. 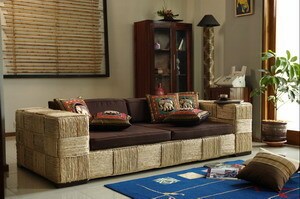 Wicker furniture is not only beautiful to look at, but it is also flexible and fits any space at your home. You can move it easily anywhere you like it. What do you think the more exhausting than wandering from one furniture store to the other furniture stores, and then going home in vain? Uuuh…we believe you will avoid doing that and prefer the quicker way to get the best wicker furniture that you like. Shopping with us seems like a good idea at all times. Here we don’t only provide wicker furniture, but also wooden furniture, office furniture, bedroom furniture, and many others. Everything is available with the most affordable prices that you might look for as our prices can please any credit limit, something that you will find impossible in other places. Now, if you have an idea to redesign your home decor, whether it’s modern, retro, traditional Javanese or Balinese, or even classic style, don’t be hesitated to choose our wicker furniture collection. Our designs are always up-to-date and keep ahead of the trends. And even better, each model of our home furniture will be always fashionable for many years to come. Somewhere, sometime, and somehow there will always be the right choice for you. Above it all, please visit our store right away if you wish to see us closer and prove our fine quality that the other furniture stores can only daydream about. For sure it will be easy for you to look your best.